Railway Minister Piyush Goyal carried out a special review of Mission Mode Plan for eliminating unmanned crossings on the railway network in New Delhi on Friday. Indian Railways on Friday revealed that a staggering 3,479 such unmanned crossings still exist on the entire broad gauge network. MUMBAI: A day after the horrific accident which left 13 students dead an unmanned level crossing in Uttar Pradesh's Kushihnagar, the Indian Railways on Friday revealed that a staggering 3,479 such unmanned crossings still exist on the entire broad gauge network. However, a majority of these are believed to be functioning mainly in the northern and north-eastern parts of the country, said a Central Railway official. The figures of similar unmanned crossings existing on the metre gauge and narrow gauge railway lines serving different parts of the country is not known. Following a deadline given by the Railways, the authorities have claimed significant progress achieved on this front with only 58 unmanned crossings remaining to be either converted to manned level crossings or eliminated altogether with bridges or underpasses on the A, B and C routes. These routes, categorized akin to "trunk routes", depending on major stations and routes, comprise over 80 percent of the Indian Railways traffic. 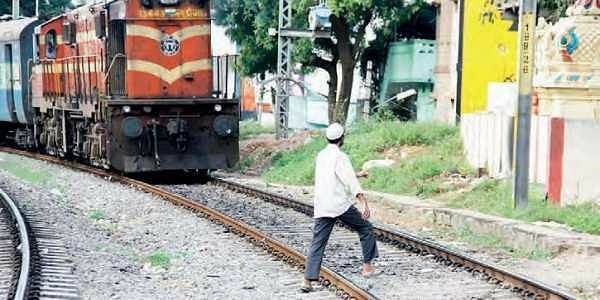 "As far as the Central Railway is concerned, there is not a single unmanned crossing on our entire network and all have been shut since one year," CR chief spokesperson Sunil Udasi told IANS. Railway Minister Piyush Goyal carried out a special review of Mission Mode Plan for eliminating unmanned crossings on the railway network in New Delhi on Friday, with members of the Railway Board, Chief Commissioner of Railway Safety, General Managers of five railway zones and other high-ranking officials. Goyal's review came after his maiden meeting as the new Railway Minister on September 7 last year, when he directed that all unmanned crossings must be eliminated within one year. He was informed that many steps have been taken which have reduced accidents at these spots by 79 per cent in the past four years. While there were 47 such accidents in 2013-2014, it came down to 10 in 2017-2018 and the average rate of elimination of these crossings has gone up by nearly two-thirds during the same period. The minister has set a target of eliminating unmanned crossings in 11 zones by September 2018, and the target dates for the remaining five zones shall be announced shortly. The IR plans a multi-pronged strategy to eliminate the remaining by maning them, or eliminating them by constructing underbridges or overbridges, diversions, etc. The work on progress of eliminating such crossings shall be shared transparently with the people online through to increase accountability and public monitoring.